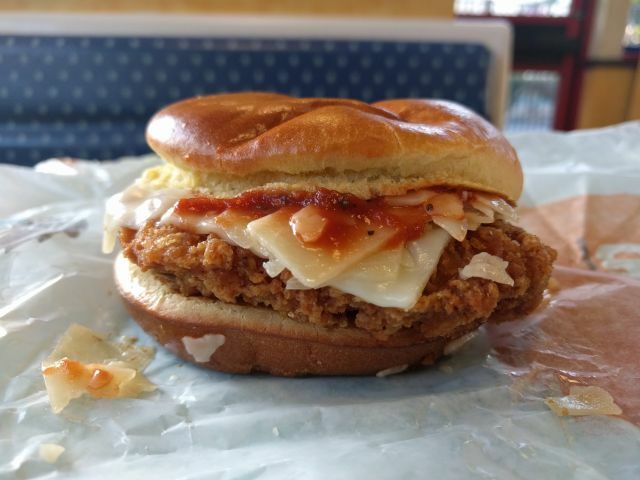 The latest version of Burger King's Chicken Parmesan Sandwich features crispy-fried white meat chicken filet, melted mozzarella, shaved parmesan, and marinara sauce on a toasted potato bun. I went and got one for $4.99. The parmesan, while mild, provided that distinct parmesan taste. There was a generous amount of parmesan in the sandwich as well as a slice of mozzarella that delivered the gooey, melty quality that parmesan lacks. The chicken sported a nice crunchy shell and moist inside. The marinara sauce was robust, sweet, and thick but a little sparse on my sandwich (your mileage may vary). On the plus side, it made for one-napkin eating (that is, I only needed one napkin to wipe up during and after eating it). The bun offered just a slightly premium feel over your standard burger bun. There was a nice egg wash-sheen to it and it was satisfyingly soft but still sturdy. 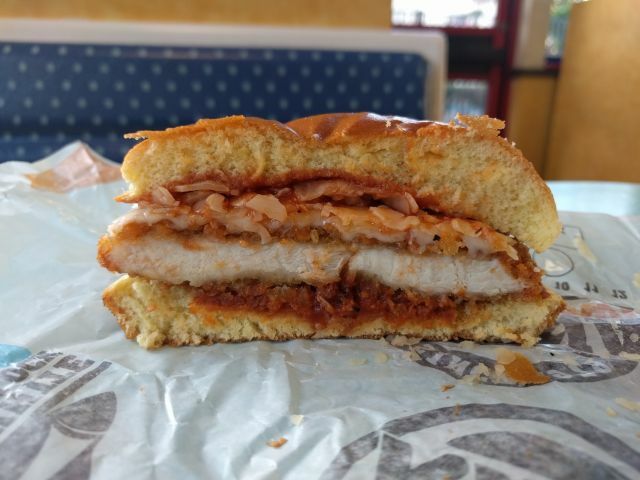 Overall, Burger King's newest iteration of the Chicken Parmesan Sandwich might be their best take on it yet. 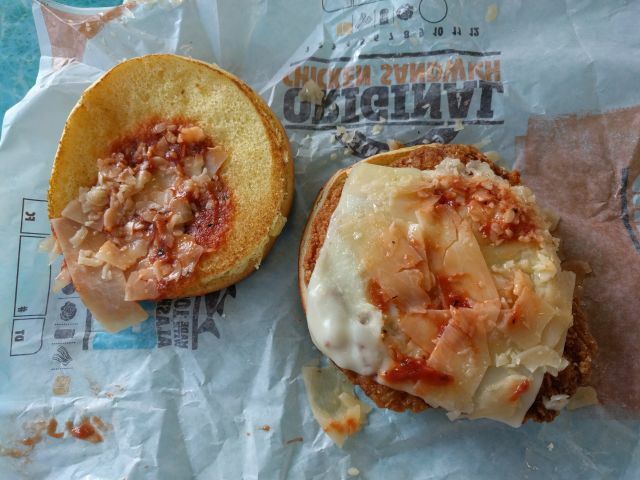 It had crunch, a plentiful combination of flavorful and melted cheese, and a tasty sauce but wasn't quite balanced given the lack of sauce (which I find preferable to a lack of cheese).